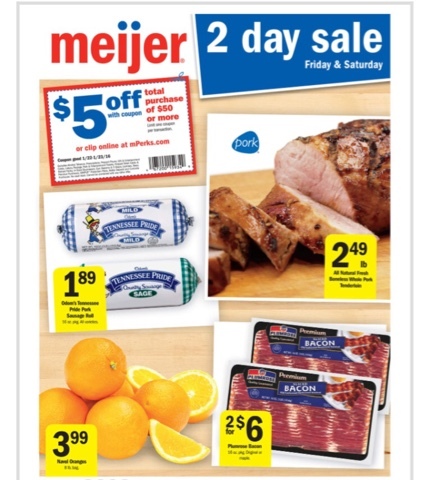 Meijer: 2 day sale starting 1/22-1/23! Starting this Friday, Meijer is having a 2 day sale and there is a $5 off $50 mPerks coupon too!! Stay tuned for the coupon matchup tomorrow!